Hello to all and welcome back if it's been a month since you were last here for the last CityDailyPhoto theme day. For this months theme of 'wood', the photo I've selected was a project grandpa, my son and I made for Cub Scouts. 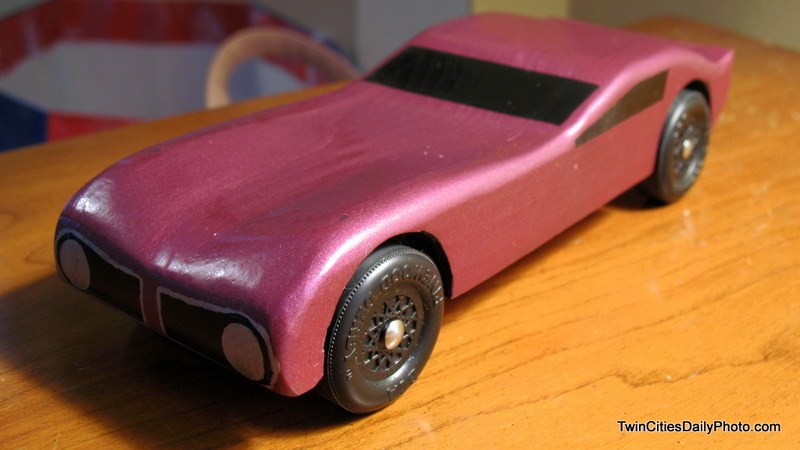 For those of you not familiar with Cub Scouts, each year we race a wooden car made of wood, plastic tires and a bit of imagination on the car creation. 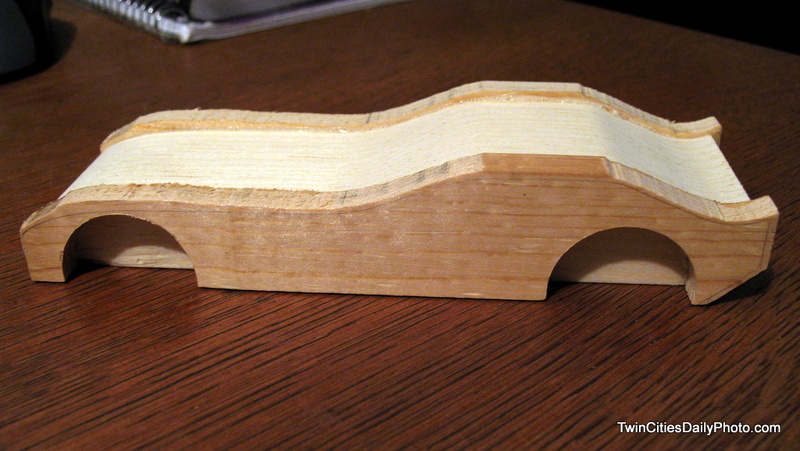 For this car, we glued on extra wood to the sides to make the car appear wider. 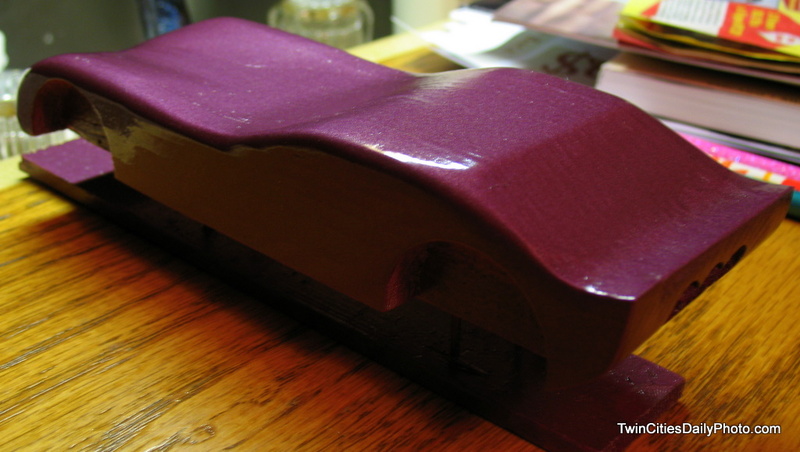 Used a bit of wood filler on the front hood and a lot of sanding to make it smooth as can be. Several paint coats later, we had our finished product. wow, my husband and sons would love this too! Fantastic! I would like to make one for myself. Fun to work with your children, isn't it. Car looks very sleek! The race was great. We entered three cars. The car from the picture was mainly for show, it took 22th place overall. Nice job. 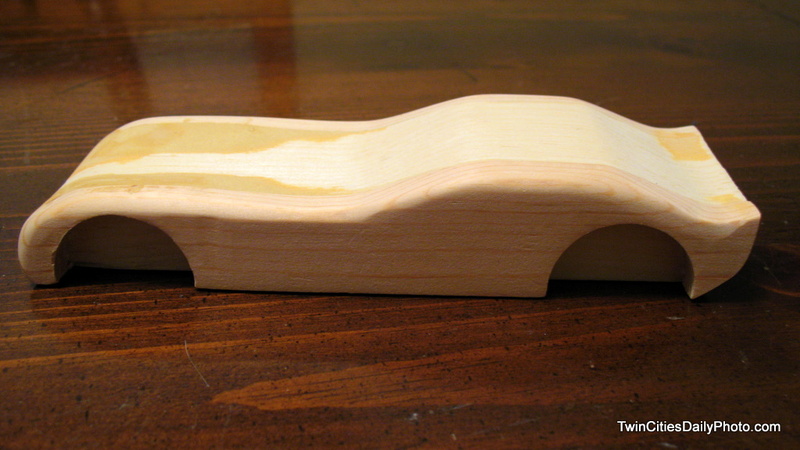 My son fared well in his Pinewood Derby, but I really like your design.